This is a terrible post, considering that I am writing it for a site devoted to history. Because here is what I have to say: Sometimes I ignore history. Or at least, recorded history. I write historical romances set during La Belle Époque. Here is the thing about historical romances: They really are, in essence, historical fantasies. Except instead of hobbits and wizards fighting over My Precioussss, we have seemingly British–Britain being a rather inescapable setting for historical romances these days—lords and ladies off on a reluctant quest for love. But as with all fantasies, world-building is an important element. A rich, textured world contribute to the vibrancy and believability of the story. In my case, my job requires me to bring alive a slice of the fin-de-siècle. Sometimes history is fairly clear-cut. In my third book, Not Quite a Husband, the hero and the heroine travel through Northwest Frontier of British India (today’s Northwest Frontier Province of Pakistan) and are caught in the Swat Valley Uprising of 1897. There is only one commonly used route to get from Chitral to Malakand. Once I find that route, that is the route on which they travel. 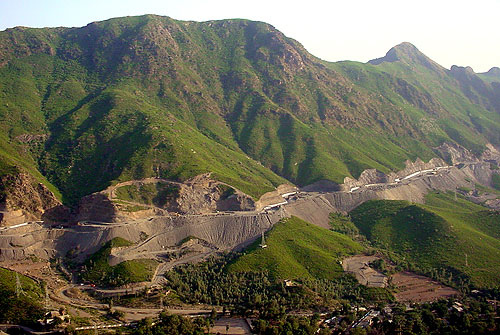 There are several accounts of the fierce battle of Malakand, during which two British garrisons, one in the tiny fort at Chakdarra, and a much larger encampment beneath the Fort of Malakand, were besieged for a week by tens, if not hundreds, of thousands of rebels, intending on removing the British presence from their mountain fastness. But the accounts more or less agree with each other and provide a well-documented—at least from the British side—narrative of that eventful week. In such a case, my job is simple. The book is set in 1897 and the hero has been an agent of the crown since 1884. It is pretty obvious he is not a member of the intelligence service attached to either the War Office or the Navy. The Special Branch of the Metropolitan Police had been in existence since 1883, but its original purpose was to fight Irish bombings. My hero, on the other hand, is initiated into the service by his great-aunt, who is many things, but probably not one to infiltrate anarchist groups. I decided to go by the most famous example of the secret agent of the day–the most famous literary example, that is: Mr. Mycroft Holmes. Mycroft Holmes has never been given any official title, and yet “occasionally he is the British government […] the most indispensable man in the country.” Also, “the conclusions of every department are passed to him, and he is the central exchange, the clearinghouse, which makes out the balance. All other men are specialists, but his specialism is omniscience.” Doesn’t that sound to you like a description of the head of the secret service, one with a large network of agents at his disposal? It sounds that way to me. So if Arthur Conan Doyle, who was then a writer of contemporary commercial fiction, could have his public accept the perception of such an anonymous governmental organization headed by such an essentially anonymous person, then I have a good deal of freedom in my writing. What about the social status and class of the men and women who did work as secret agents? History tells us that it is mostly those of the lower middle class who participated in the secret service, the gentlemen and the ladies of the era too haughty and delicate to dirty their hands so. 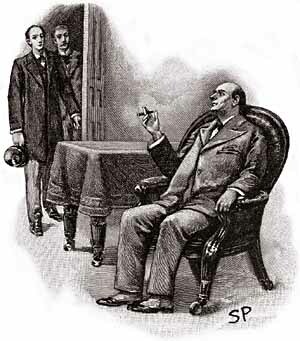 I had a look at some of the most famous recent examples of fan fiction, the Sherlock Holmes and Mary Russell mysteries by Laurie R. King. 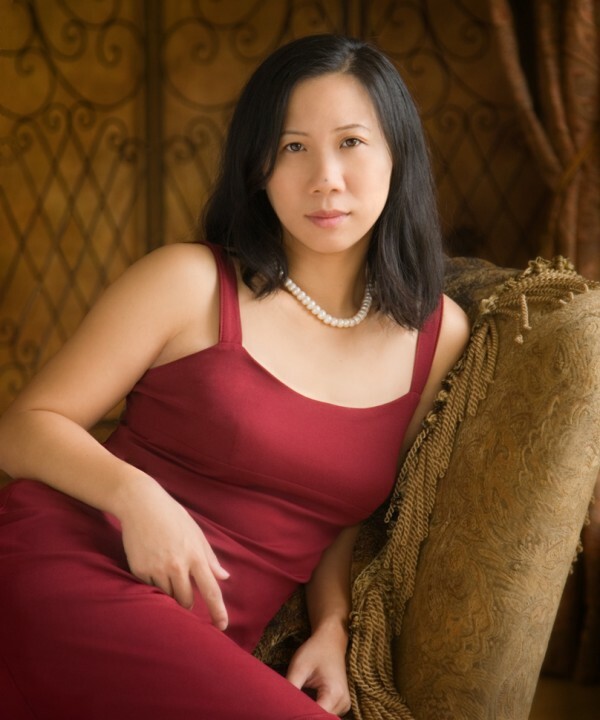 In her books, King firmly establishes Sherlock Holmes as, yes, a gentleman. And if Sherlock Holmes, who hired out his service for pay, is gentleman, then his brother and secret super-agent Mycroft Holmes is by definition a gentleman also. His at Night is RITA award® finalist Sherry Thomas’s fourth book and goes on sale today. Forced into a marriage of convenience, Elissande and Vere are each about to discover that they’re not the only one with a hidden agenda. With seduction their only weapon—and a dark secret from the past endangering both their lives—can they learn to trust each other even as they surrender to a passion that won’t be denied? Visit Sherry at her website, read her blog, or follow her on Twitter.